The House of Lords is the second chamber of the UK Parliament. It is independent from, and complements the work of, the elected House of Commons. 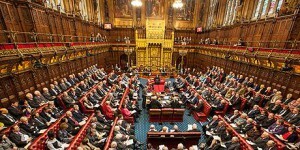 The Lords shares the task of making and shaping laws and checking and challenging the work of the government. Robert Winston speaks regularly at the House of Lords on education, science, medicine and the arts. He was Chairman of the Lords Select Committee on Science and Technology 1999-2002, initiating enquiries into Antibiotic Resistance, Non-Food Crops, Nuclear Waste, Science and Society, Genetic Databases, Aircraft Passenger Environment, and Science in Schools. He is a board member and Vice-chairman of the Parliamentary Office of Science and Technology and was voted “Peer of the Year” by his fellow Parliamentarians in June 2008 for his expertise and work on the Human Fertilisation and Embryology Bill.